Those with June birthdays are lucky to have three very colorful and playful gemstones from which to choose. Two are ancient and one while a far newer find is by far the rarest of the three. The ethereal gem (moonstone), the chameleon gem (alexandrite), and the queen of gems (pearls) are the poetic stars of June. To decide which one is your cup of tea, let’s shine a light on all three of these wildly unique gems. The most ethereal gem of June is the one you’re most likely to see on a show like “Game of Thrones.” Moonstones have been prized since ancient times for its enchanting way with light. It was thought at one time that a spirit was moving within the stone. Moonstones are part of the feldspar mineral family, a mineral found on more than half of the earth’s crust. The unearthly glow is called adularescence and caused by light waves bouncing off internal crystalline structures. As far as color, the moonstone is whitish, gray-white, silvery-white, or milky white with a soft blue shimmer that moves across the face of the stone. Moonstones also come in a rainbow of other colors – the blue shimmer is just the most popular. In addition to its mysterious glow, it can also sometimes have a cats-eye effect or asterism which is the form of four-rayed stars. The latter is very rare. Moonstone is a relatively soft stone with a rating of 6.0 – 6.5 on the hardness scale (ten being the hardest) which means it can scratch easily, but with proper care can last a long time. This gem comes in a wide variety of sizes and cuts. By far the most common is the cabochon cut (no facets). The latter seems to display the color and light to its best advantage. Though faceted moonstones have become more popular as the facets can help hide inclusions and heighten brilliance. By far the rarest gem of June are alexandrites. 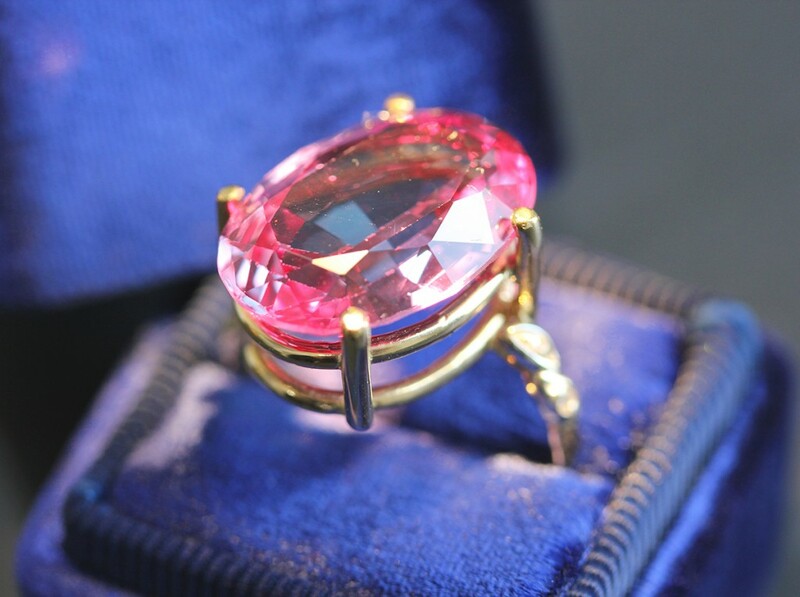 It is also the most modern gem having been first discovered in 1830s Russia. Its claim to fame is that it looks like an emerald by day and a ruby by night. The gemstones namesake is that of a Russian prince. The story goes, they were discovered on his birthday in an emerald mine. Since this gemstones discovery, it has been touted as bringing the wearer good luck. Though few ever have the chance to find out since hardly anyone gets to see one in person, much less wear this gemstone (they are that rare). 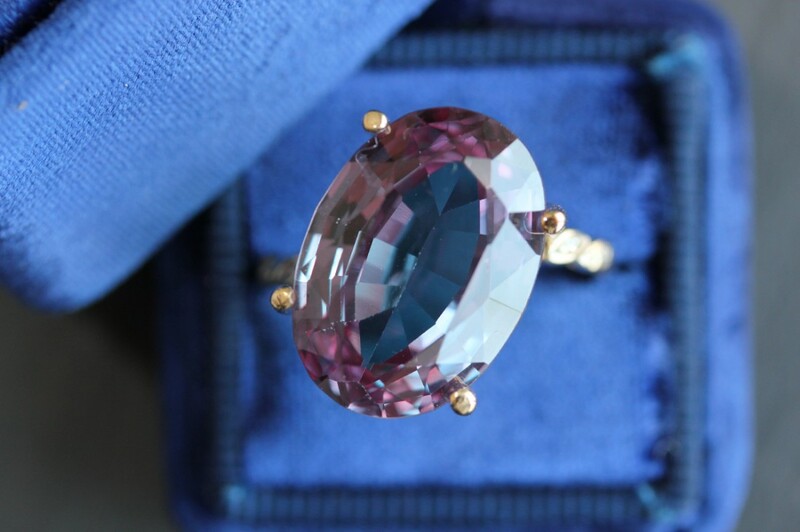 Alexandrite is a very rare color-changing variety of the mineral chrysoberyl. What makes the difference between other varieties of this mineral are the presence of not only iron and titanium, but also chromium. This combination somehow results in a complexity in the way the mineral absorbs light giving it the ability to change colors. As far as clarity, this is one gemstone that tends toward few inclusions. It also hits an 8.5 on the hardness scale which puts it somewhere between emeralds and rubies as far as durability. As far as size, you are more likely to find a one carat as the larger stones are pretty hard to come by. They also cost a fortune. One carat can go for about $15K while more than one carat can go for $50K – $70K per carat. 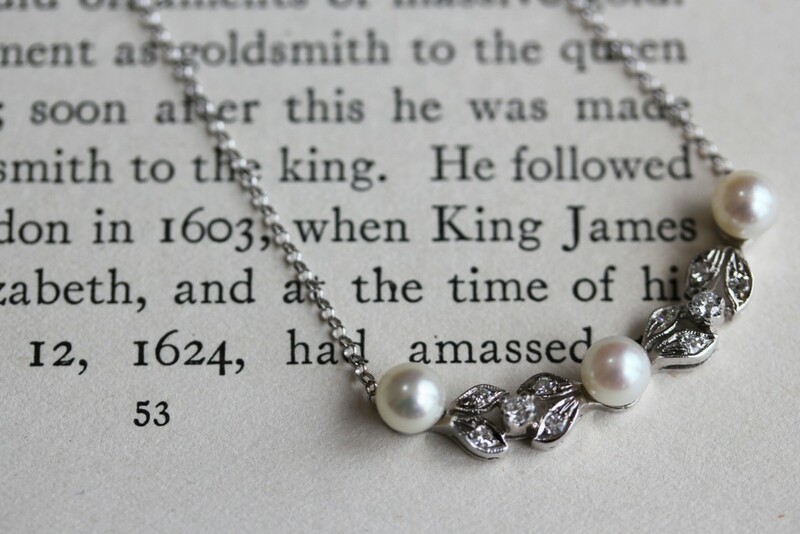 Pearls have never gone out of fashion or passion, having been treasured by those in ancient Rome as much as by those living during the time of 1960s Camelot. In ancient times, someone would have to hold their breath and dive deep into the unknown to find a mollusk (soft body, hard shell) that might have a pearl. They would then have to make it back to the surface before losing their breath or life to some dangerous sea creature. These gems of the deep were solely meant for the rich and powerful. It wasn’t until the early 1900s that pearls became available to the rest of us once humans started giving Mother Nature a helping hand in cultivating pearls. Natural and cultivated pearls are created when a mollusk is invaded by another organism. Nacre, the substance generated to deal with the invasion, is what ultimately creates the pearl. Of the seven pearl factors, luster is by far the most important. Excellent luster means that reflections appear bright and sharp. Poor luster is dim and diffused. Pearls come in a rainbow of colors and a variety of shapes and sizes. Of course, the larger the pearl, the more valuable. Freshwater pearls can take up to six years to form while saltwater pearls can take as much as twenty years. On the hardness scale, pearls land between 2.5 and 4.5. They are on the soft side, but if properly cared for can last a lifetime. Whether your birthday is in June or not, these are the gems of summer. All of them are sort of mysterious and magical in their own unique way. You can’t go wrong with any of them. Pearls go with everything and every occasion and come in so many fantastic colors. 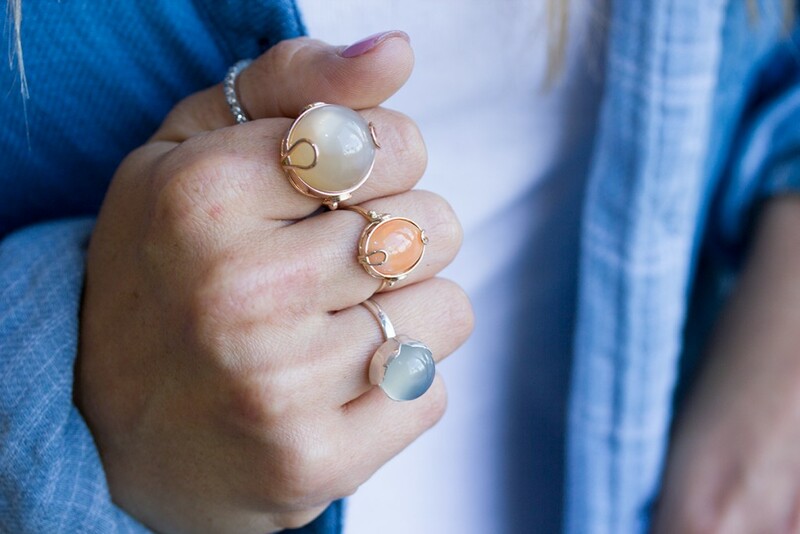 Moonstones make a magical fashion statement no matter what else you pair them with. A large white moonstone set into white gold or silver with diamonds is just something you will feel naked not wearing after the first time you do so. And while alexanderites don’t share the ancient history and lore of pearls and moonstones, their mysterious color change make up for that. They look beautiful set with diamonds in rose gold. Please call 619.223.2151 so we can talk about the gems of June some more. There’s really so very much more to say, really.